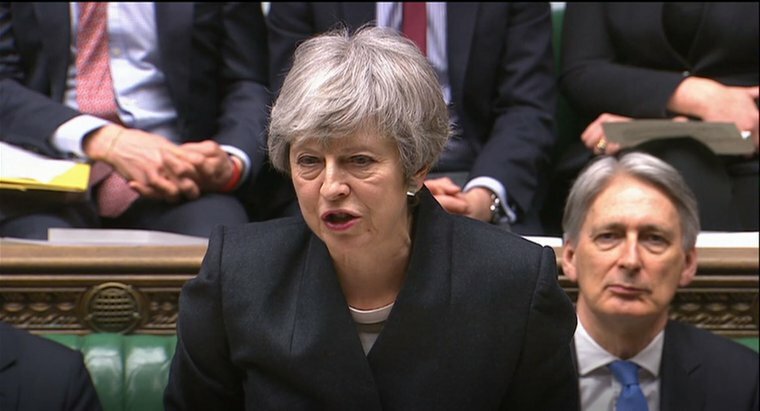 Brexit’s ‘flextension’ means that the government and Labour opposition, as well as parliament, have bought some time to find a way out of the crisis. The parliamentary indicative votes, backstop provisions and Labour proposal all suggest that a customs union is the frontrunner as a basis for future UK-EU relations. Yet there appears to be a degree of confusion about what staying in a customs union could mean for UK trade policy. Some, mainly hard Brexiteers, have suggested that it would prevent the UK from doing its own trade deals. This is highly misleading: even in a customs union, the UK could still negotiate trade deals covering a significant number of policy areas such as services and intellectual property rules. It is therefore crucial for trade justice issues like workers’ rights, environmental policy and industrial strategy that we fully understand the implications of what appears to be the most likely destination for the UK. A customs union, in its most basic form, is in fact a relatively minimal form of trade co-operation. It only affects trade in goods: it typically removes all tariffs and quantitative restrictions between member countries and applies common external tariffs to goods coming from outside the union. Indeed customs unions vary in their design to suit their member countries: for example, the EU’s customs union with Turkey doesn’t cover agricultural goods. The benefit of a customs union for the UK would be to retain at least some degree of frictionless trade which goes some way to resolving issues at the Northern Ireland border. This would to some extent shape the kinds of customs union the UK would require and is reflected in the current backstop proposal, however there would still be some flexibility about the exact form a customs union could take. The customs union doesn’t necessarily cover regulations and standards (ie, part of what is referred to in trade-speak as ‘non-tariff barriers to trade’), which affect everything from food to car parts, and further discussion would be needed to agree an approach. Most importantly for future UK trade agreements, customs unions involve less overall economic integration than may be established through a free trade agreement because they don’t cover areas such as services, overseas investment, government procurement, digital trade and the protection of patents and copyright. These are all key features of modern free trade agreements (FTAs) and priority negotiating areas for the UK government. If we join or form a customs union with the EU, the UK would not be part of new EU FTAs and will still be free to negotiate FTAs with other countries on all areas other than goods tariffs. FTAs commit countries to significant ‘liberalisation’: opening up most aspects of the economy to international competition and so reaching into nearly every aspect of daily life, from the way we run our public services, to choices about how our food is produced and whether or not to introduce fracking. ‘Liberalisation’ includes the opening up of sectors as wide ranging as telecommunications and water to competition from companies from partner countries and commitments to more stringent patent and copyright rules. They can offer far-reaching privileges to companies, including the right to sue for compensation if a policy decision, such as increasing water quality standards, negatively impacts the profitability of their investment. The broad scope of trade deals means that they can have implications for a range of hard-fought rights. For example, provisions on patent and copyright rules can make medicines more expensive; liberalisation of services can lead to patchy provision of things like healthcare and water and giving companies the right to sue in the face of policy change can deter governments from taking a range of measures, including banning fracking, raising the minimum wage and increasing water quality standards. In tandem with these trade impacts, a customs union alone also means the UK would no longer apply EU rules in a range of areas. The UK could be part of a customs union but have a separate agreement that would mean we would no longer automatically follow EU standards on things like consumer goods and worker protections. The government’s current position is that we will leave the European Court of Justice (ECJ) and there is no clear commitment from the government to stay in the European Convention on Human Rights (ECHR). . The status quo in terms of public and parliamentary oversight of trade negotiations in the UK means citizens would have very little say over the shape of future trade deals. The combined impact of this means that UK citizens could lose a significant amount of regulatory and legal rights and protections. The pressures to lower standards will be huge: there is a real risk that our rights at work, environmental protections and food standards could be traded away through FTAs. The US, has already said that it wants to see greater ‘regulatory alignment’ and Liam Fox has refused to rule out importing US chlorine-washed chicken. Politicians often suggest that people ‘just want us to get on with Brexit’ and for the political upheaval and back to back coverage to be over. However the withdrawal negotiations, even if they include establishment of a customs union, does not mean the end of the negotiations. The UK therefore needs a proper process for developing its trade deals that includes a meaningful way for citizens and politicians to input into their development. Yet, unless current processes change, politicians are not even guaranteed a vote on trade deals and no-one will see the negotiating texts of a deal until the very end of the negotiation when it is too late to make amendments. Membership of a customs union would shape future UK trade negotiations but this effect should not be overstated. The exact content of both a customs union and an FTA is highly flexible, we need to make sure a range of voices are heard as the UK moves towards its final agreement with the EU. The Trade Bill is expected to return to parliament soon and provides an important opportunity to do this. We still have everything to fight for to ensure that our trade deals protect people and planet, and leave voters and their representatives able to have a meaningful say over how we deal with future social and environmental challenges.